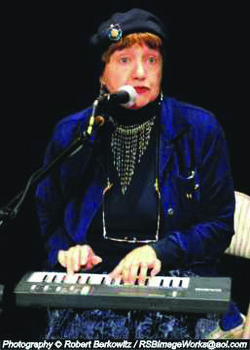 Lois Morton is a singer/songwriter known to Long Island and Manhattan audiences for her humorous songs. Her song “Confessions of a Clutterholic” received a standing ovation at the National Conference of Professional Organizers in Minneapolis in 2007. Lois debuted a one-woman cabaret show in 2008 at the Manhattan club, Don’t Tell Mama. The same year she released her CD, “As I See It”. Lois was a finalist for the MAC-sponsored Dottie Burman Songwriter’s Award in October, 2010. She has delighted audiences at Acoustic Long Island, The Huntington Folk Music Society, The Eclectic Café, the Homegrown Café, women’s clubs, libraries and other performance venues. As a cabaret performer she has studied in Manhattan and Tuscany with renowned teacher and performer Helen Baldassare.